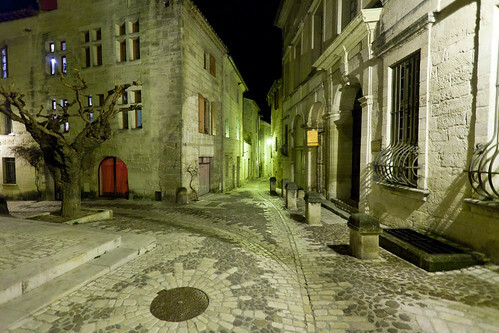 A street in Uzes, France, by night. View large on Black. Blogged.